Have You Ever Tried To Get Lost? In this avant-garde, counter-culture novel, Alan Agrippa embarks upon a journey of Jungian individuation that encompasses both geographical and mental terrain. As he travels through England, Scotland, and Ireland, he immerses himself in a broad range of philosophical challenges to develop an understanding of a world that, until then, is unknown to him. Together, you and he are propelled to explore some of the fundamental questions of existence: the nature of physics, mysticism, and the human mind. 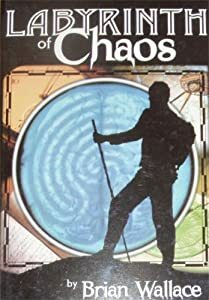 “Labyrinth of Chaos” is a story of transcendence which challenges traditional notions of morality, politics, and love. It celebrates the best of the individual human spirit: youthful idealism, romantic longings, and the unbridled pursuit of genius.